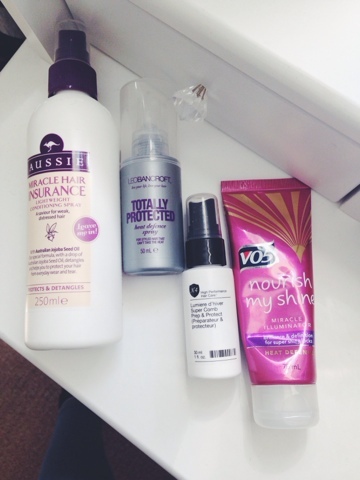 I've been using a selection of hair products none stop at the moment. So I thought I would share them with you. 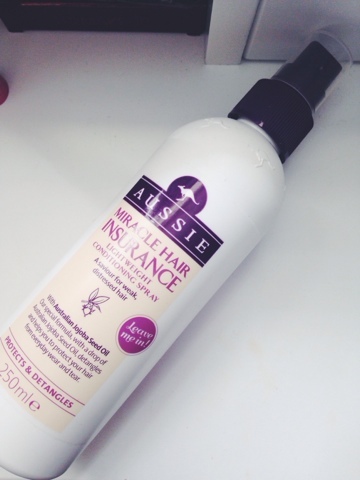 First up the 'Aussie miracle hair insurance' leave in conditioner. This has been a god send as my hair gets pretty tangled when it's wet. A few pumps into the bottom of my hair and combed through. I instantly notice a difference, it's light and smells amazing. 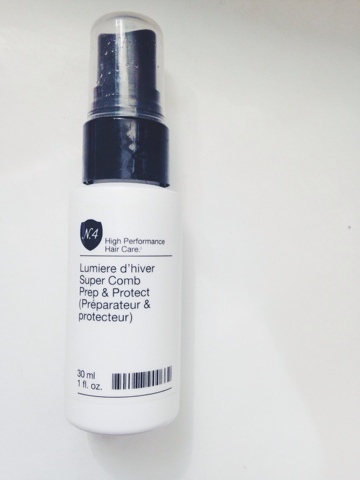 Next is the N4 lumiere d'hiver super comb prep and protect. This is my favorite even though I only have a tester version of this at the moment. So I have had to stop using it so religiously as the full size is a little pricey. I do think I will purchase this product though as I do love it. The scent reminds me of white chocolate. A small amount of this goes such a long way. Aswell as leaving my hair all fluffy and soft. 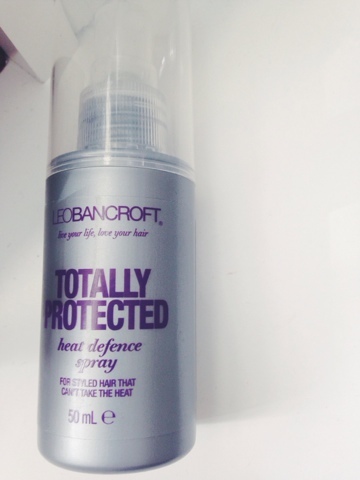 How I came across the Leo Bancroft Totally protected heat defence spray. was a total fluke. I got given a set of Leo Bancroft hair products for Christmas. Now I use this every time I wash my hair to condition the top of my hair when it's wet. I have to be super careful not to over condition this part of my hair so this product is perfect as it's not to heavy or sticky and it tames those annoying fly aways. 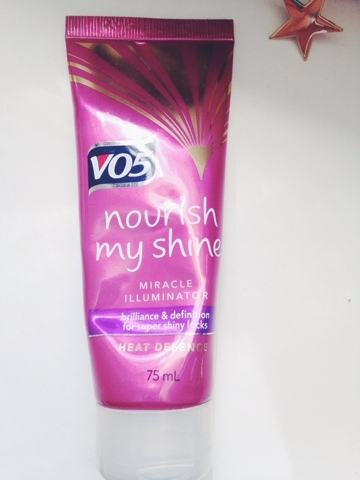 Lastly Vo5 norish my shine heat defence. I use this for that extra bit of shine when my hair has been blown dried. I put a small bit into my hands and smooth it into the ends of my hair before styling. It leaves the my hair gloriously smooth! I know your probably like "stop going on about curling your hair woman!" I have realised I am turning into my mother, who has spent most of her life on the hunt for the perfect curl. Does this exist? Anyway, I went back to my original favorite the Enrapture encode totem styler for this style. I set the dial to 2,2,3 and curled big chunks curling it away from my face and pointing the tong downwards. I found this setting left me with lovely mermaid curls perfect for summer that have lasted all the way through to today. 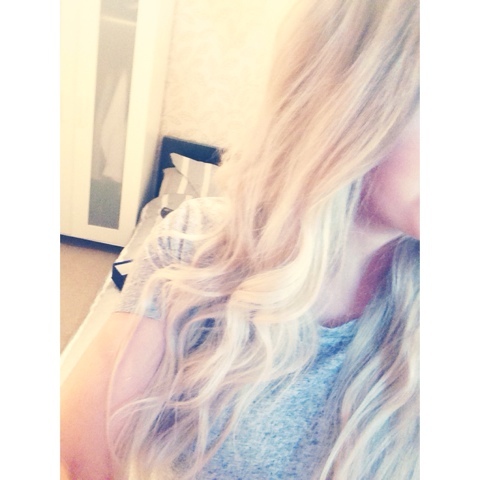 I gently separated the big curls with my fingers and then curled smaller sections Inbetween to create a fuller look. I brushed the top with a big paddle brush to make my hair a little messy looking. Then sprayed it lightly with hairspray as I didn't want it to look too set. I seriously enjoyed this style and will probably go back to it again and again.